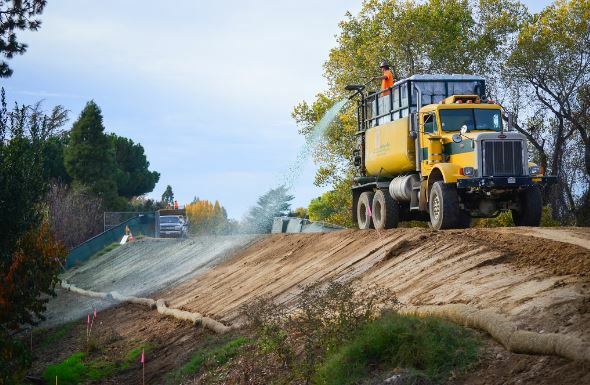 .Commercial Hydroseeding is a reliable and permanent procedure of establishing vegetation on steep slopes, raw soils, and other remote areas. It involves embedding plant seeds using seed slurry, mulch, and specialized equipment. 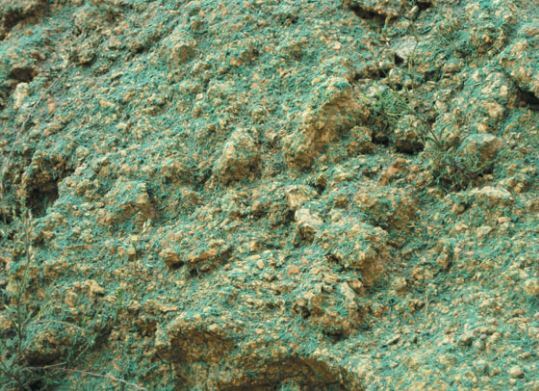 Seed and additives such as soil conditioners, mulch, special fertilizers, and erosion control agents are mixed with water to form a homogenous suspension. Using pumping aggregate and high-pressure spray cannon, the mixture is evenly sprayed across the site. Liquid seeding promotes quick growth and controls soil erosion. It is, therefore, a suitable method for commercial sites such as golf courses, lawns, traffic routes, industrial complexes, dikes, waterways, airports, training areas, landfills, and inaccessible areas as well as sites unsuitable for traditional processes. Using this technique is landscaping lawns ensures that the grass is evenly distributed. Quality:: It provides healthy, long lasting, and greener lawn. It creates an ideal microenvironment for seed germination because the slurry material promotes the procedure and stimulates the seeds to develop a deep-rooted healthy system. The deep root establishment usually avoids the shock of being transplanted into foreign soils.In addition, this method offers thick and uniform lawn consisting of a mat of interlocking fibers which eliminates the threat of seams appearing. Versatile: It has overshadowed sod and hand seeding because of its wide array of applications such as commercial landscapes, hillside stabilizations, vegetation restorations, wildfire repairs, parks, schools, and mine reclamations among other areas. Efficient: The combination of cost, coverage, and health makes it the ideal choice for establishing a high-quality turf. It is easy and fast to install and can be maintained without high labor expenses. Erosion control: :The spray seeding slurry contains soil erosion control agents which protect the soil against loss from rain and wind. Safety: It is non-toxic and completely safe method to the environment. 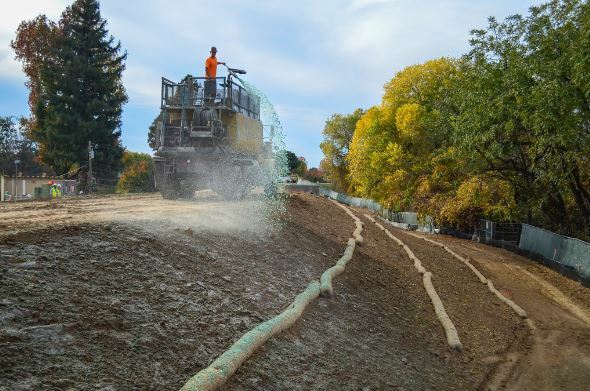 Water retention:Because of the moisture sealant, hydroseeding allows water retention ability up to ten times which ensures fast germination and high plant survival rate. For successful seed germination, a special care is required particularly on the first month. To maximize the seed germination, the site should be kept moist by watering at least twice a day in warm weather conditions. but you should be careful to walk on the areas which are dry to avoid disturbing the mulch mat. can begin. Mowing stimulates growth and thickness of the lawn. You can set the mower high at first, then gradually lower but ensure that you do not cut more than a third of the lawn at a time. nitrogen fertilizer is required on the lawn. This is meant to boost the growth and maintain the green, uniform, healthy appearance of the lawn. You can inquire if your landscape professional offers a lawn continued care program with regular weed and insect treatment as well fertilizer applications. from $0.09 to $0.15 per square foot.